PLUME VOYAGE continues to travel with our webzine inspired by beautiful print magazines. Reports, as always, concerning the creative and luxury worlds of today. This week, we invite you to discover the French Astier de Villatte World. We especially appreciate its identity, its style, its ideas, its way of looking at the world, its propositions, its journeys. 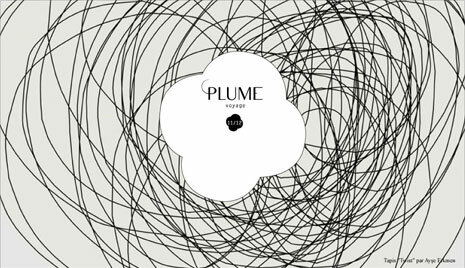 Since September, PLUME VOYAGE has focused on gastronomy with new restaurants and culinary concepts in London, in parallel with design week and a gastronomic asian parisian Break with a selection of new tables and new addresses, at different prices. We did a profile on the topic of design with Atelier Hapax and its usage of recycling. PLUME discovered the Parisian world of la Contrie and their ultra chic, personalized bags and luggage. We opened the doors of hotels in Vietnam, the Amanruya in Bodrum, Turkey, and the Baystone in Mauritius. We took a Wander Around in Vietnam. He took a Break in the the French divine Eyrignac gardens. We have an interview with Chantal Thomass who revealed her suitcase to us at the same time as the hotel she decorated in Paris. And for the first time, PLUME VOYAGE broadened our musical horizons with a selection of discs by Nova journalist, David Blot. The site has also launched, on the CAPSULE DE PLUME boutique, the new PARFUM DE VALISE®, designed to purify the suitcase.